When you hear the words “Mercedes-Benz,” you think of one thing: Luxury. Mercedes vehicles are known for their quality, luxury and performance, and at Jerry Lambert Automotive, we have the tools and the expertise to maintain these areas for one of the higher-end commercial vehicle brands on the planet. Mercedes-Benz makes only the best vehicles, and you require service that follows in lockstep. 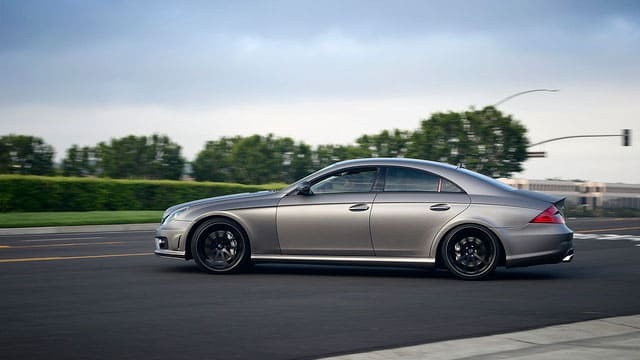 That starts with the best mechanics in the industry, ASE-certified technicians who have decades of combined experience with both Mercedes vehicles and many other brands. We also stand by our transparency, which is particularly important for a vehicle like a Mercedes that often comes with more expensive parts – we won’t start any major repairs until you sign off and approve them first. Just as important as our service is our location, which positions us as a top auto mechanic in the Salt Lake Valley. Not only are we centrally located in Salt Lake City, we’re easily accessible from other locations such as Draper, West Valley City and Riverton. This means you’re never out of range of our excellent services as long as you’re in the valley, unlike many other shops that are confined to a more particular area. Don’t wait – come find out how Jerry Lambert Automotive continues to post an A+ rating with the Better Business Bureau year after year. Whether your Mercedes-Benz requires a simple engine check or oil change or you’re in need of larger repairs or upgrades, we’re here to help. Call us today to schedule an appointment, or visit our 3300 South location at your convenience.